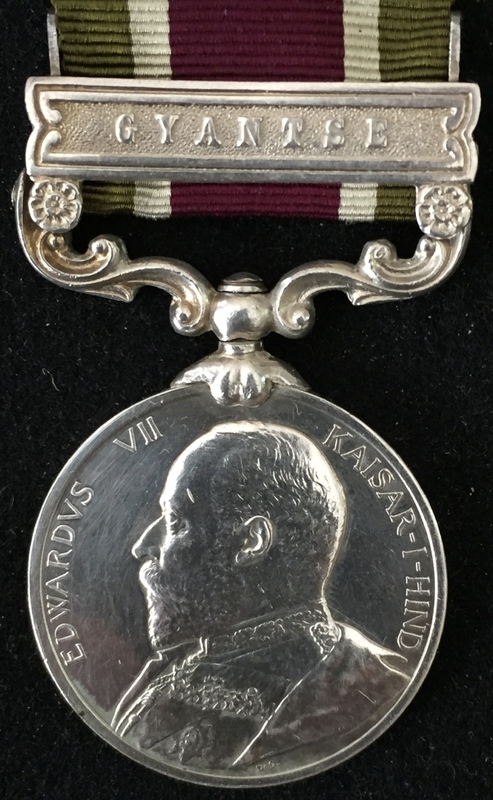 A VERY RARE, EDWARD VII “TIBET MEDAL” (GYANTSE) To: 5635. 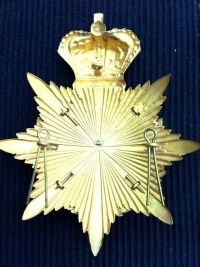 Pte. F. COOKSON. 1st Bn. 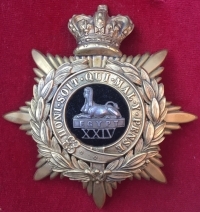 Royal Fusiliers. 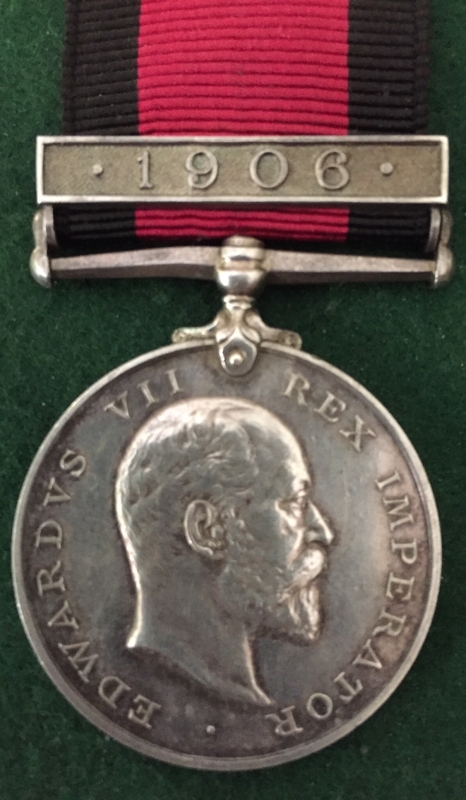 A Stunning Medal in Practically Mint State. 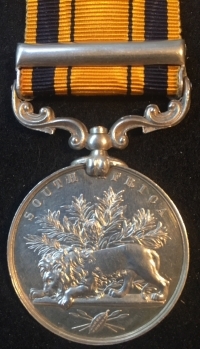 An Extremely Desirable SOUTH AFRICA "ZULU" MEDAL (1879).2242 Pte L.T. 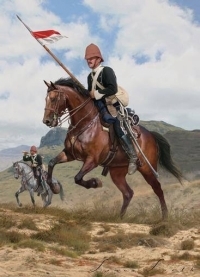 REYNOLDS 17th (Duke of Cambridge's Own) Lancers"TOOK PART IN THE FAMOUS CHARGE BY 17th LANCERS AT THE BATTLE OF ULUNDI 4th JULY 1879"
A Choice & Extremely Desirable "Battle of Ulundi" SOUTH AFRICA "ZULU" MEDAL (1879)To: 2242 Pte L.T. 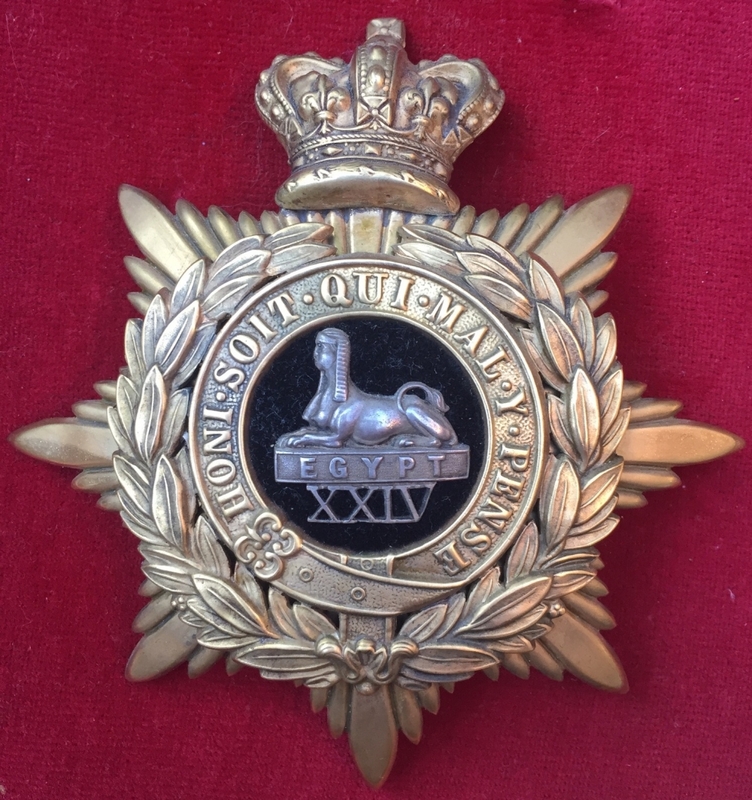 REYNOLDS 17th (Duke of Cambridge's Own) Lancers "Fought under Lord Chelmsford at The Battle of Ulundi, 4th July 1879"
A Magnificent & Historically Important 1/24th Foot (Warwickshire) Regt (South Wales Borderers) Officers Pith Helmet Plate with "24" and "Egypt" Collar Dogs. 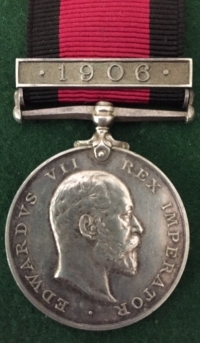 Attributed to Lieut C.J. ATKINSON (Killed in Action at Isandhlwana 22nd January 1879. 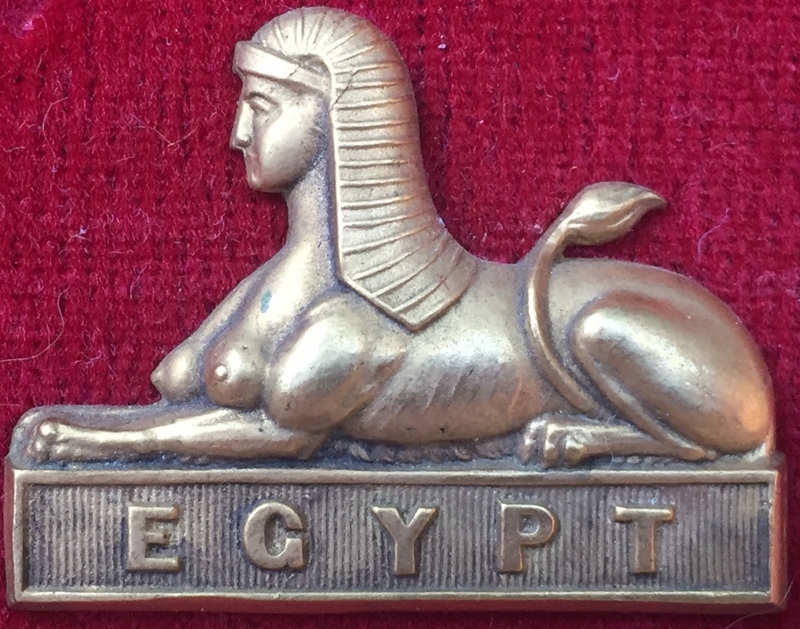 A magnificent and rare Victorian (SOUTH WALES BORDERERS) Officers' Helmet Plate c,1883. MINT STATE & SUPERB. 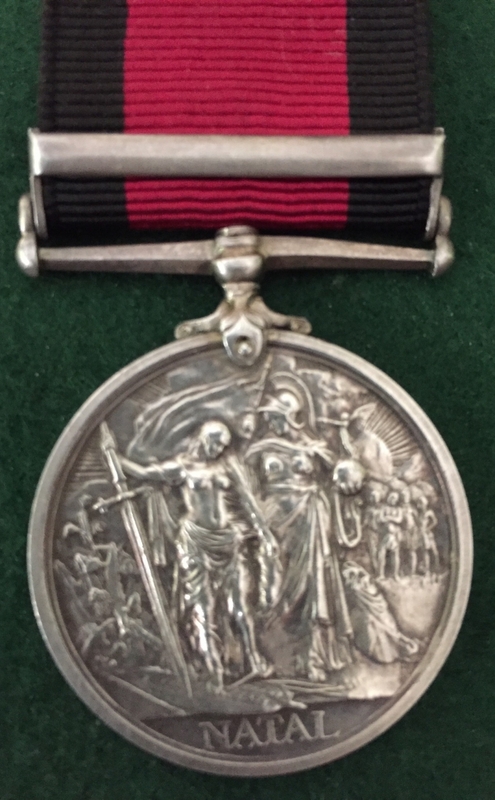 One of the finest examples extant and a totally stunning item. Fit for inclusion in the best of collections. This is a sheer classic for the serious SWB collector. 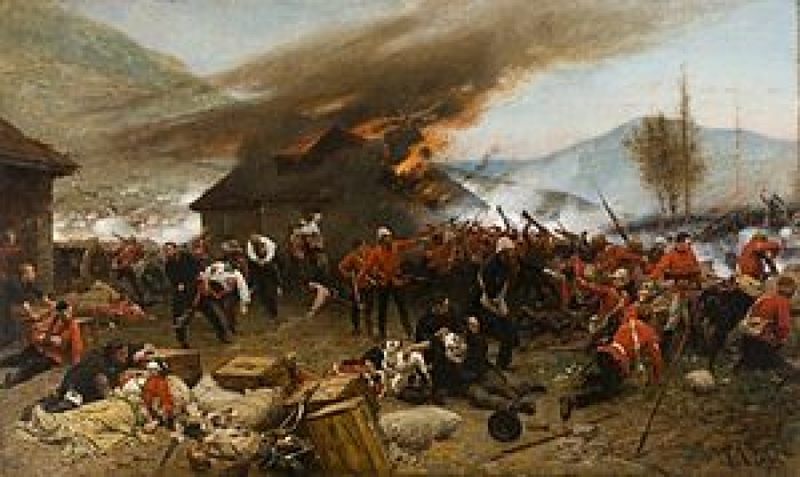 A VERY ENTERTAINING & 'OLD LAG's' Q.S.A. 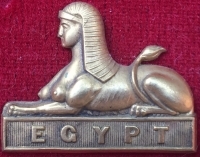 To: 29727. 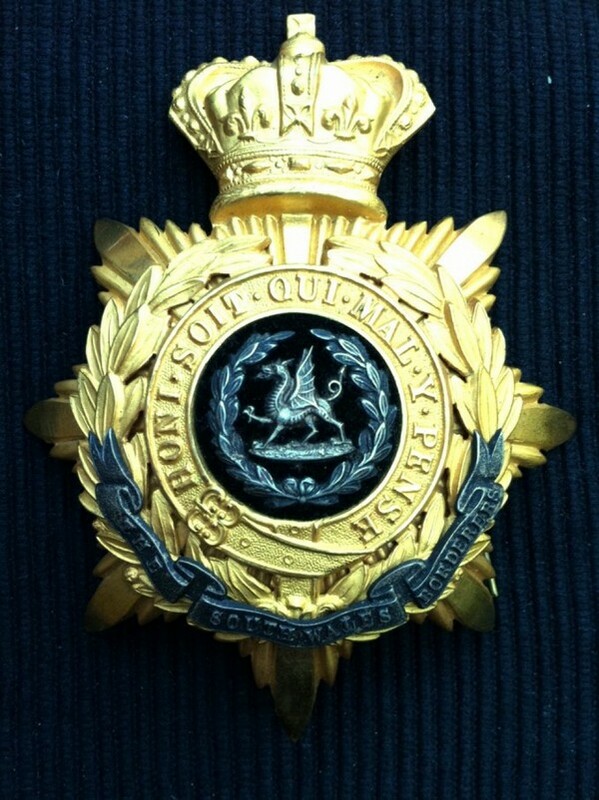 Pte T.P. TROTTER. 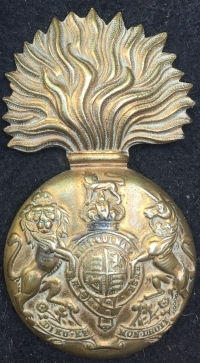 (Northumberland) 5th Imp Yeo, Royal Scots & Royal Scots Fus. "The Real Life Del-Boy" with 21 months prison time in Scotland for serious thefts of sheep & fowl. A VERY ENTERTAINING & WELL DOCUMENTED Q.S.A. 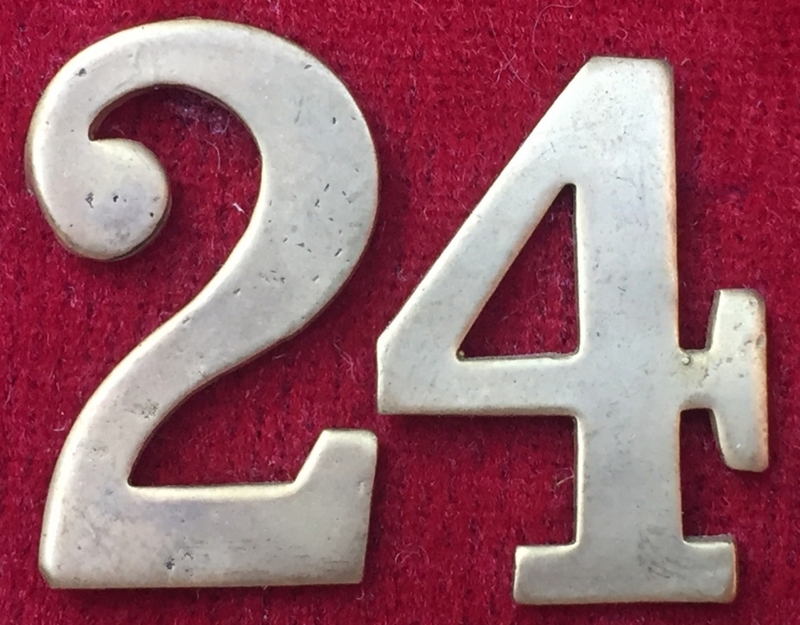 (3 clasps) To: 29727. Pte T.P. TROTTER. 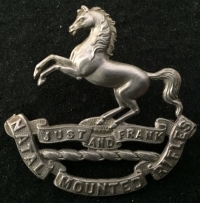 (Northumberland) 5th Imperial Yeomanry, Royal Scots & Royal Scots Fus. "The Real Life Del-Boy" with prison time for serious thefts of sheep & fowl. 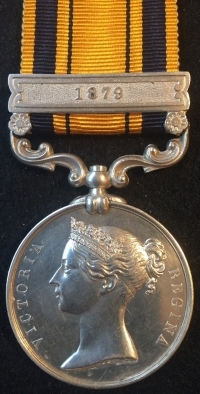 A SCARCE "NATAL REBELLION MEDAL" Clasp 1906. To: Tpr. A. ADAMS. NATAL MTD RIFLES. With "ULTRA RARE" Genuine Cap Badge. AN EXCESSIVELY RARE "DOUBLE RELIEF" Q.S.A. 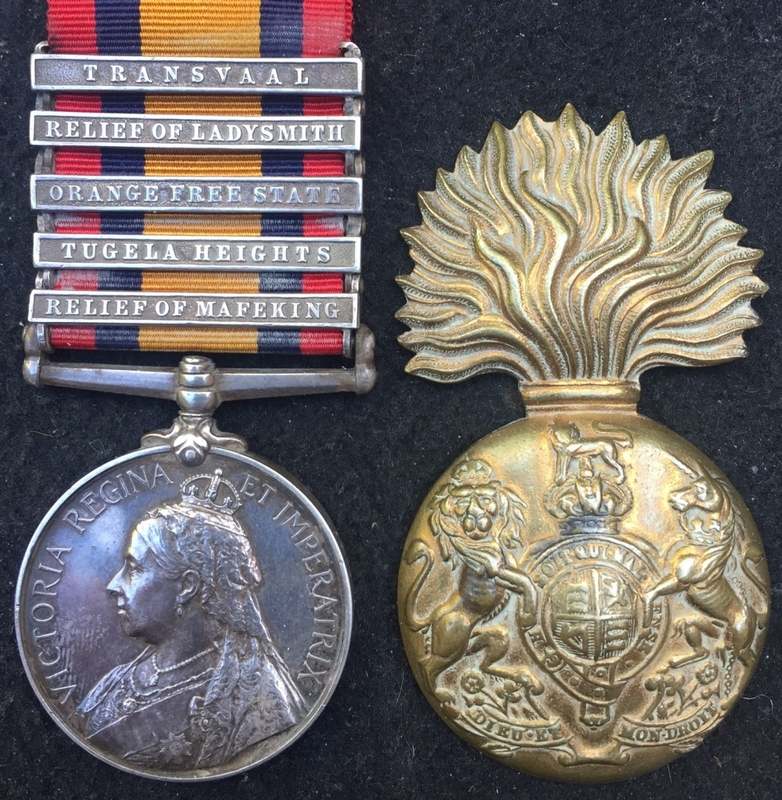 "RELIEF OF MAFEKING" & "RELIEF OF LADYSMITH" 3237 Pte.D.McFarlane,2/Royal Scots Fus. 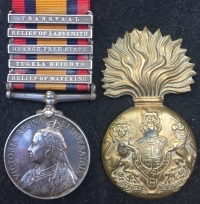 (1 of only 162 Brits with the Relief of Mafeking clasp) One of only 26 Royal Scots Fus. 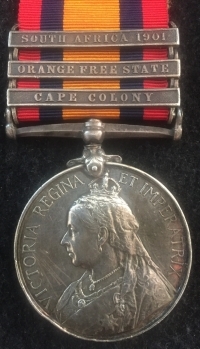 AN EXCESSIVELY RARE "DOUBLE RELIEF" Q.S.A. 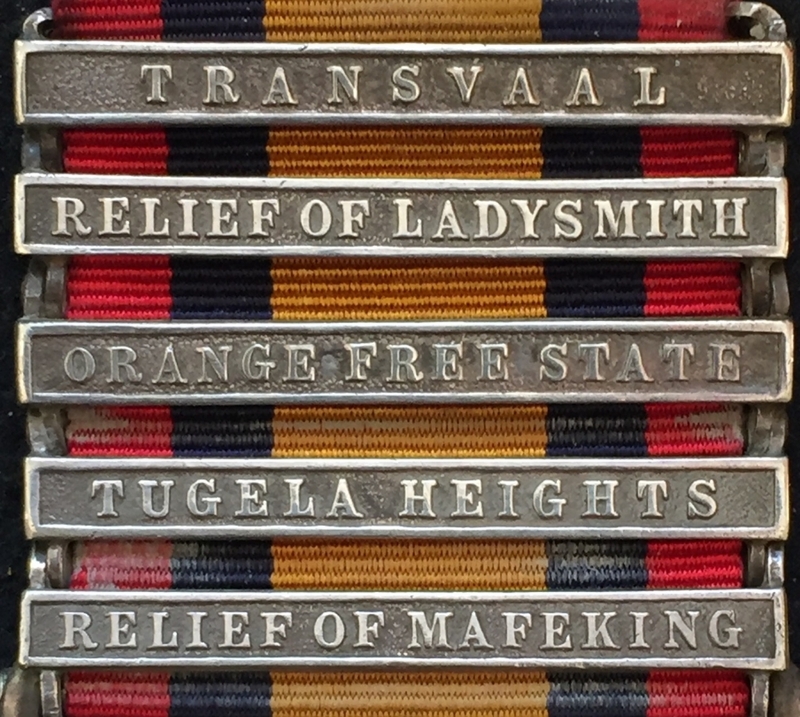 "RELIEF OF MAFEKING" & "RELIEF OF LADYSMITH" 3237 Pte. 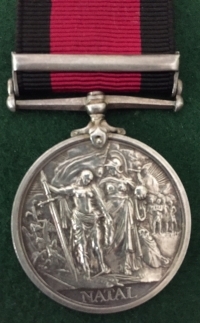 D. McFarlane, 2nd Royal Scots Fus. 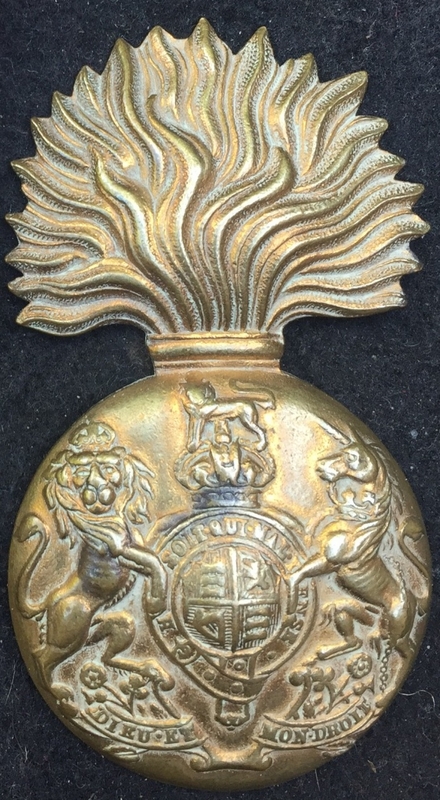 (One of only 162 British Troops to receive the Relief of Mafeking clasp) & One of only 26 Royal Scots Fus, awards. AN EXCELLENT "SIX CLASP" Q.S.A To:2416 Pte T. RADLEY.1st ESSEX Rgt (Shaddow Date) BELFAST, DIAMOND HILL JOHANNESBURG, DRIEFONTEIN,PAARDEBURG, RELIEF OF KIMBERLEY. Queen's South Africa Medal (6 Clasps) 1st ESSEX Regiment. To: 2416. Pte. 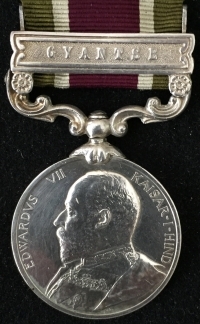 T RADLEY 1: ESSEX REGt. 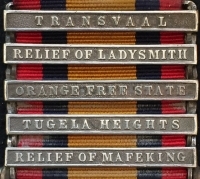 (Shaddow Date) BELFAST,DIAMOND HILL, JOHANNESBURG, DRIEFONTEIN,PAARDEBURG,RELIEF OF KIMBERLEY.